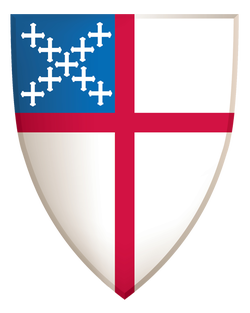 The neighbor islands celebrated the Episcopal Church's Sesquicentennial in their own unique ways. 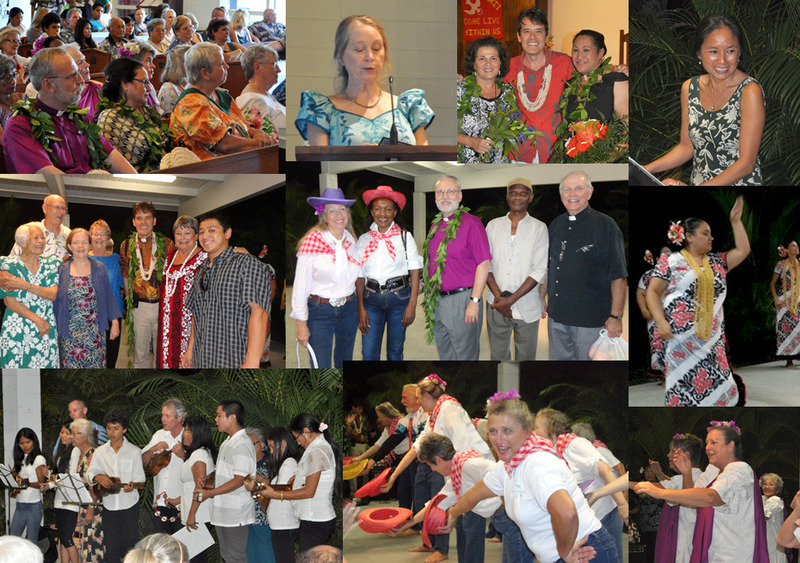 There was a Festive Eucharist and grand luau, a "Boogie with the Bishop" dance, and an evening of theater and music. 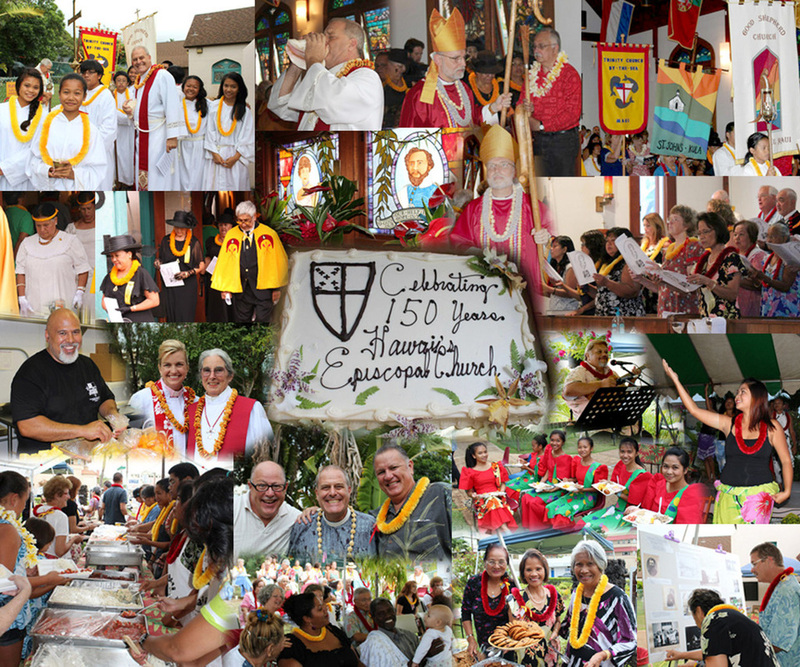 As different as each island's events were, the common thread was the joyous atmosphere and coming together of all Episcopalians on each island, to celebrate this significant time in the life of the Episcopal Church in Hawai'i. MAUI: Maui was the first island to celebrate the Sesquicentennial. On Saturday, September 8, 2012, Church of the Good Shepherd in Wailuku played host to a Festival Eucharist followed by a grand lu'au and entertainment on the front lawn. Along with members from Good Shepherd, folks from all the Maui Episcopal churches, Holy Innocents, St. John's, Trinity By-The-Sea, all pitched in to celebrate this special time in the life of the Episcopal Church. Each of the churches shared their history on display boards, and members enjoyed a variety of music, cultural dances and home-style entertainment while feasting on a fabulous Hawaiian buffet. KAUA'I: The Garden Island's celebration took place on Saturday, September 22, 2012, at All Saints' Episcopal Church in Kapa'a, the very first Episcopal Church built on Kaua'i. Members from Christ Memorial, St. Michael and All Angels, and West Kaua'i, joined All Saints' members for an evening of food and a "Boogie with the Bishop" dance in the gym. St. Michael's Joyful Noise Taiko Drum Group opened the festivities on the outdoor deck, with a rousing show of energy and rhythm. Then folks were ushered into the gym, where the premiere showing of the video documentary, Grace and Beauty: 150 Years of the Episcopal Church in Hawai'i, was played. St. Michael member and EMMY award winning filmographer, Stephanie Castillo, created the video for the Sesquicentennial, and Kauaians were honored to be the first to view it. Hungry folks lined up for refreshments and a chance to "boogie with the Bishop" afterwards. THE BIG ISLAND OF HAWAI'I: The Big Island celebrated the Sesquicentennial at the the Church of the Holy Apostles in Hilo, on Friday, October 12, 2012. Big Island churches include Christ Church, Holy Apostles, St. Augustine's, St. Columba's, St. James and St. Jude's, with many thanks to organizers Rev. Moki Hino of Holy Apostles, Cynnie Saley and Lynn Reynolds of St. Jude's. The evening began with the showing of the video documentary Grace and Beauty, followed by a reading from the book Queen Emma's Church in Kealakekua, Crossroads of Culture, by author Nancee Cline who is a member of Christ Church, Kealakekua. Director and Playwright, Jackie Johnson, wrote a play to honor Queen Emma especially for this event. The special one-act play entitled Vespers at Hānaiakamālama, was performed by Denyse Ockerman who portrayed Queen Emma in a moving account of her life. Folks enjoyed a reception and entertainment by Mailelaulani Canario and her halau with lots of revelry as each church put on a show of dance and song!